RAINY. I feel like everytime I mention something about the weather being great, it turns bad again. It’s been raining pretty much non stop for the past 5 days now but I don’t really mind. Sitting inside with a hot cup of tea, reading the latest issue of Lula magazine while listening to the rain pouring down outside is actually pretty awesome. Tonight I’m going to snuggle up in the couch and watch one of my alltime favorite movies, Lost in translation, and dream myself back to Tokyo where the pictures above were shot last year, such a magical city! 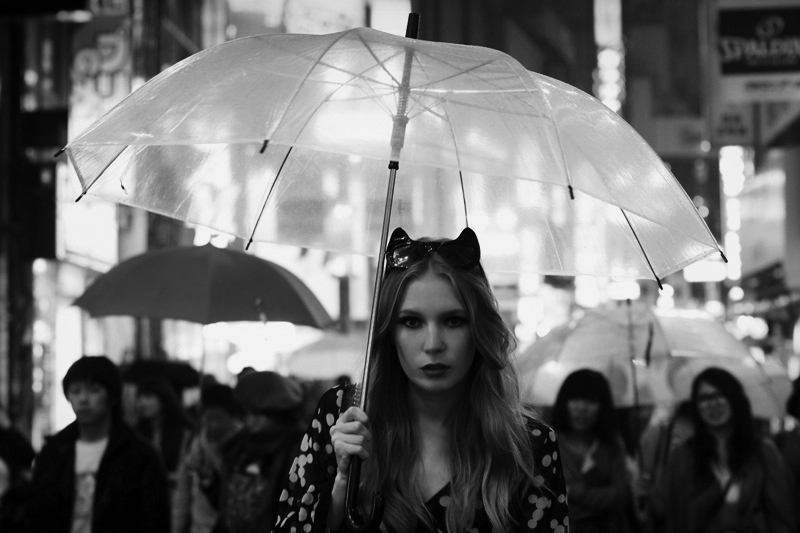 This entry was posted in Outfit and tagged cup of tea, lost in translation, lula magazine, rain, tokyo by Carolina Engman. Bookmark the permalink. The rain is really pathetic!! :( makes me all saddish!! Amaaaaazing photos! Love your sunglasses! Beautiful pictures! Love the first one! You’re so pretty! Loving your lashes! Denmark is rainy and boring as well! You look stunning on these pics..
Great photo, love the sunglasses! those glasses are amazing too! i wanna have your sunglasses, they are fantastic! love your sunnies! great look! such cool photos! those glasses are spectacular, and loooove lost in translation! Oh my God, the sunglasses are amazing! So beautiful. the first photo are amazing!!!!! You’re really really beautiful! But I guess you know that! I love the sunglasses, by the way :) Good choice, they’re very cute ? Your sunglasses have the coolest effect! These are amazing photos. Lost in Translation is NOT a good reflection about Tokyo or how life turns out to be in here. There are many (better) spots outside tge stereotyped ones (shown in the movie) so please, next time… Get out of Park Hyatt (which is actually really FAR from the nice places ) and go around Naka-Meguro, Ebisu & Daikanyama. Not to mention Jingumae or other spots. Seriously. It’s like judging Stockholm by the four skyscrapers in T-centralen. Love the rain! Grey photos. But you have made amazing pictures! God, it’s insane how beautiful you are. Love the sunglasses (they get me every time), though it looks like you didn’t need them much with the rain! Gorgeous photos! You look so beautiful! Such gorgeous photos! Your sunglasses are too cute, reminds me of catwoman =) Enjoy your movie! I’m sick of all the rain too.. It’s June, it should be sunny! Really love these pictures tough! I’m sick of all the rain too.. It’s June, it should be sunny! Really love these pictures though! It has been raining all weekend here in Sydney too. I have also been thoroughly enjoying the latest issue of Lula indoors. The cover is amazing! Love your shades! I would love to visit Tokyo! Aww the rain sometimes gets me down as well but I enjoy the nice sound of it! And I LOVE the unbrella in the first pic so adorably chic! I love the first picture, you look amazing! Amazing! you look so stunning ! Love the umbrella :) very cute! these pics are so beautiful, perfect way to play when it rains! cool detail and funny twist i think! I love transparent umbrella. Looking really nice. It actually sound really lovely, and the photos are stunning, like always ? The photos are so awesome! Love the sunnies! 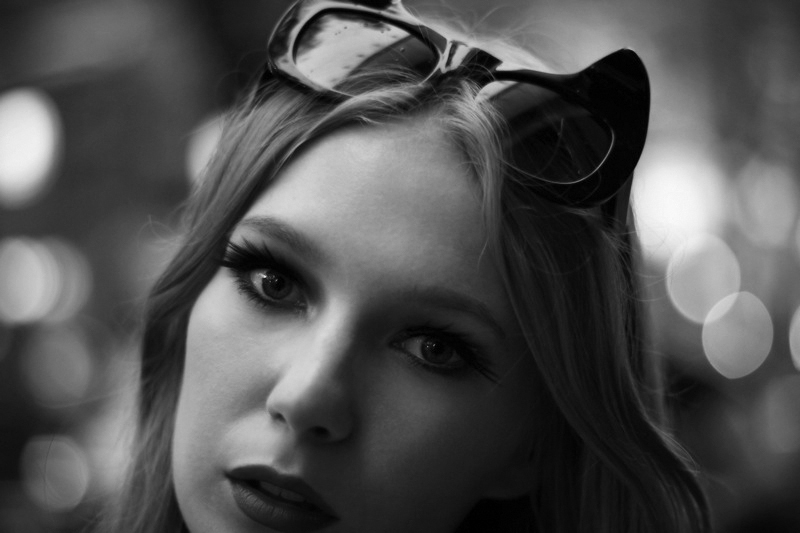 And such magical picutres, really love the first one, it is so editorial!! Here in Belgium its raining aswell! I totally know what you mean, I’m having the same problem. Beautiful pictures! I love you glasses! They’re fabulous! Beautifull photo’s! still in love with these cute glasses! Love the cat glasses !!! What a pretty picture on you! the best part of these sunglasses is that if they dont give u cat eyes, they give u cat ears! YAY! Amazing pics! How do I do thoes eyelashes? tutorial? tips? That is some awesome rain gear…love the kitty sunnies! wow Carolina! congrats to you and your photographer! The first picture is amazing! yeess,that movie is really lovely,i totally agree! I wish we had that same cool weather in the states! Great photos! Love the fact that they are in BW in a city with so much color! follow my blog please! what do you think of it? I just got back from Tokyo to visit my family! Isn’t it such an amazing place? So full of life! Love these pics! You look so chic – even in a rainstorm! You sunglasses are wicked! What country were you in? Love these photos! There really amazing! Lula is one of my favourite magazines, I really need to get the latest issue! Love the false lashes, they look gorgeous, never seen ones with that shaping. Love your photos so cute with an edge. Do you remember where you bought them? Like thes old tokyo shots! I would love an umbrella like that! Great photo! Love those sunnies! You’re so stunning!!! Those sunglasses are amazing! I’ll look for them everywhere! Take a look to our blog My Sailor Mood http://mysailormood.wordpress.com/ we have a beatuiful GIVEAWAY this week! Love those glasses soooo much! RAIN MAY BE A NICE DAY ,RAINY DAY IS MY LIKE. Just 2 pics and you post say a lot. You look beautiul, but I am sure a lot of people say that to you. Enjoy your film. I am going to see my country Spain playing in the Eurocup. I am a girl but I like to see my country playing. If u want to see some sun check my blog maybe cheer u up.